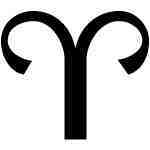 Aries. Cardinal Fire. Assertion of the will, development of identity. Honorable, impulsive, courageous, competitive. Needs a mission or battle to fight. Independent, dislikes restraint. Can be egocentric, individualistic, impatient. 1st House: Personality, physical body, vitality. Physical appearance, sense of self. Projection of “persona,” how we are viewed by others. Aries and the first house are ruled by Mars. Taurus. Fixed earth. Appreciation of the physical, need for stability, security, sensual pleasure, perseverance. Love of fine food, clothing and beautiful surroundings. Earthy and practical. Can be stubborn, possessive and jealous. 2nd House: Identication of self with environment. Possessions, tastes, self-esteem. Process of attachment, personal resources. Taurus and the second house are ruled by Venus and Earth. Gemini. Mutable air. Transmission of information. Love of language and ideas. Need for variety of experiences, mobility, change. Can be superficial, quixotic and moody, unable to follow through on projects. 3rd House: Interactions with immediate environment. Communication, short journeys, relationships with siblings. Early learning patterns. Gemini and the third house are ruled by Mercury. Cancer. Cardinal water. Deeply sensitive, strong needs for emotional security and nurturing. Rooted in the past, collector of souvenirs. Sensitive, gentle, moody. Can be hostile if hurt or disappointed, manipulative, oversensitive. 4th House: Psychological roots, home environment. Primary nurturing parent. Early experiences rooted in the unconscious. Inner world and emotional security. 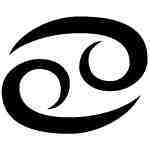 Cancer and the fourth house are ruled by the Moon. Leo. Fixed Fire. Expression of the creative self. Needs to be admired by others, to be playful and creative, to love life. Dramatic, larger than life. Generous of spirit. Can be demanding, insensitive, egotistical. 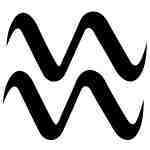 5th House: Creative endeavors and play, theater & sports, romantic love, courtship, acquaintances. Bearing of children, attitude toward parenting. Leo and the fifth house are ruled by the Sun. Virgo. Mutable earth. Need to perfect the self. Focused inward to seek purpose of life. Detail-oriented, methodical, perfectionist, discriminating. Need to be of service. Can be negative and stingy with resources with a tendency to nitpick. Concerned with health issues. 6th House: Service to others; activities without self-gratification. Daily rituals and details of life. Work environment, employees, pets. Mind/body connection including health issues. 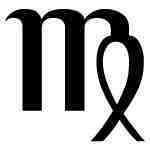 Virgo and the sixth house are ruled by Mercury and by Chiron. Libra. Cardinal air. Relating to others, achievement of balance and harmony. Love of beauty more aesthetic than sensual. Tactful, charming, idealistic, diplomatic. Can be self-indulgent, indecisive and overconcerned with the opinions of others. 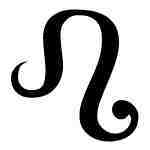 7th House: Partnership, one-to-one relationships such as marriage, business arrangements, enemies. Hidden aspects of self experienced through the partner. 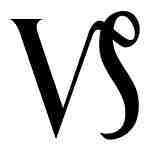 Libra and the seventh house are ruled by Venus. Scorpio. Fixed Water. Probing into emotional depths. Passionate, strong-willed, emotionally courageous, instinctive. Need for deep, bonding relationships, dislikes superficiality. Control issues, can be manipulative and jealous. 8th House: Issues of giving up individual resources to become something greater. Sexuality, physical death, and death of ego, inheritance, jointly held finances, taxes. 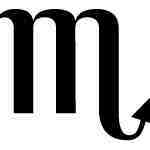 Scorpio and the eighth house are ruled by Pluto, ancient ruler Mars. Sagittarius. Mutable fire. Expansion of self, optimism. Adventurous, the explorer, the seeker of Truth. Love of travel, other cultures. Needs freedom from social restraint. Exuberant, friendly, jovial. Can be unreliable, overextended, unable to commit. 9th House: Awareness of ideas of others. Philosophy, religion, law. Travel which expands the mind, higher education. The search for truth, mentors. 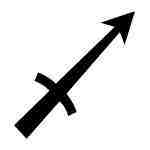 Sagittarius and the ninth house are ruled by Jupiter. Capricorn. Cardinal earth. Issues of building one’s environment. Setting goals, the building of something solid and lasting. Practical, rational, focused, self-sufficient. Can be overly serious, cool and distant, resulting in isolation and bitterness. 10th House: The self in the outer world. Social status, career or profession. The apex of self-actualization. The more powerful parent, long-term goals, authority figures. 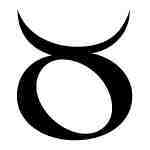 Capricorn and the tenth house are ruled by Saturn. Aquarius. Fixed air. Unique expression of self unencumbered by social requirements. Idealistic, fair, humanitarian. Treasures integrity and rationality, dislikes messy emotions. Can be impersonal, dogmatic, coldly rational. 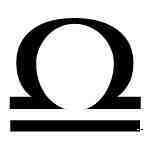 11th House: Relationships with groups, friendships including casual social groups and formal societies. Includes shares ideals and attitudes towards the social environment. Aquarius and the eleventh house are ruled by Uranus, ancient ruler Mercury. Pisces. Mutable water. Yearning for transcendence of ego. Imaginative, creative, sensitive. Vulnerable to outside influences, intuitive. Ego boundaries not well-defined, tendency to addictions. Can be childish, irresponsible, submissive. 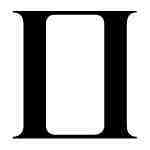 12th House: Issues operating unconsciously or beyond the individual ego. Solitary experiences, experiences made difficult by repression of planetary energies in this house (hence the ancient meaning “house of troubles”). 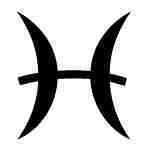 Pisces and the twelfth house are ruled by Neptune, ancient ruler Venus.